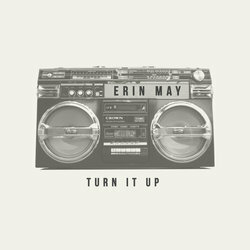 Erin May has stolen the hearts of many with their new sounding music that they’ve been working on in 2018. Coming into a scene and marketplace where everything has been done before, somehow found a way to etch out a niche that cross multiple genres. After a few line up changes in the rhythm section they settled on the lineup, with Kirk as lead singer and main songwriter, Lana (Kirk’s sister) who is on bass, Derek on lead guitar and AJ on drums rounding out the 4 piece group. The band prefers to enjoy their musical writing style and don’t take themselves too seriously. Singer Kirk Jeffs, has been compared to artists like Frank Black & Robert Smith. He has found a way to tell his stories and keeps up a grooving vibe simultaneously. The band although hailing from Bribe Island, about 1 hour north of Brisbane, have been playing in and around town since their single release, and have recorded their debut 4 track ep at Tall Poppy with Nathan Woodrow. The record is mainly self produced, or you could say it hasn’t even been produced, due to its rawness. A song about a man that showed up to my house in the UK selling some less than legal substances.